According to conventional wisdom the Internet consists of written materials. Therefore, it is suitable for teaching reading. Reading, in turn, has traditionally been associated with outdated grammar translation method in which foreign language was taught to enable students to read. However, in recent decades the emphasis has been put on communicative competence. Language is to be taught to enable communication. In fact, the Internet contains teaching materials which make it possible to teach every language skill. Here I’m going to write a paper on the same topic and mainly I’m going to relate it in Nepali context. At first I tried to set the scene which is related to my experience toward internet. Secondly it tries to show the things that internet is offering for the ESL classes. Then I move toward the possibility of using internet in Nepali context. 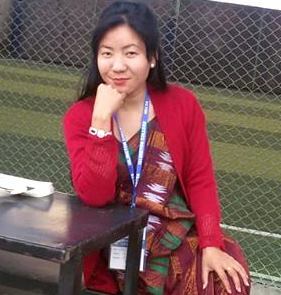 While dealing with this particular topic I include something about a person; named Mahabir Pun. In fourth part of this paper I write about the things that a teacher should remember while using internet in language classes. And finally I write something about my feeling which conclude this writing. I did my bachelor’s degree from one of the colleges in the eastern part of Nepal. Though I lived in a municipality, I didn’t get internet access there. As the trends go, I studied all subjects through the lectures of my tutors or with the help of book written by Nepali writers. I was even not aware of using the book written by foreign writers. The use of internet for me was just checking the e-mails nothing more than that. I finished my bachelor course and arrived in Kathmandu for my further study. I decided to join KU for my Master’s Degree. I still remember the day when I got confusion. One of our tutors asked us to write reflection and I sent that to him through mail. I was aware of writing reflection and I wrote the reflection and went to the lab. I then I switched the computer on and logged in my email but after that I was confused what to do. I was ashamed and I just looked around the lab; luckily I saw one friend near me. I approached her and asked her how to attach file. She guided me. My first experience toward internet was only related to the means of communication, but from that particular day my feelings completely changed. Now I’m in the place where I’m using internet each and every time for my each and every work. My feelings towards internet changed gradually from the means of communication towards the tools of teaching learning. With the help of these particular experiences I collected within a short span of time of one year, and with the help of other materials and evidences, I reached at the phase where I decided to prepare one article related to the use of internet particularly in ESL classes. The internet nowadays is really widely used device. “The internet often abbreviated to NET, has often been described as the biggest communication revolution….” (Dudeney: 2000). The internet is being mainly a free recourse and it is increasingly being used in TESOL, and the expo. However, realizing the potential of this exciting and constantly expanding medium places new pressures on the layman TESOL teacher, who very often has had no pre-service or past in-service training on how to use the Internet in an ICT language lab (http://www.englishlab.intercol.edu/papers/pdf/chris%20alexander%20jan%2019.pdf). With the advent of the Internet, language teachers now have at their disposal various learning Websites with interactive contents that can be argued to offer certain advantages over conventional teaching methods (http://jpl.e-contentmanagement.com/archives/vol/5/issue/2/article/3462/internetbased-grammar-instruction-in-the-esl). Though it is mainly being used in language classes, it might be fruitful to talk about the use of internet in ESL classes and possibility of using it. I want to discuss the possibility of using internet in Nepalese institution. Most of the websites I explain above are useful; I can say these websites are useful because I made the use of this website while teaching and learning. Though I didn’t get the access to the internet at first, now I can make proper use of it while teaching. Among the websites written above I’m going to elaborate the last one. I want to include the things that are being offered from www.teachingenglish.org.uk. Basically when we heard the name of the website (teachingenglish) we can guess, what might be the purpose of this particular website. Normally it provides the tips which can be useful for the ESL teachers. Not only for the teachers has it equally focused on the learning of the kids. There are different games which are funny and interesting to help student practice their English and others. The main slogans of those games are play- enjoy and learn. These exercises are included in the part of the teaching English because the language used in these games is quite harder and students will not understand the instruction. As we know if we get opportunity to learn something while playing then that will be permanent and we can get ideas properly without any hesitation and difficulties. This website also offers the grammar games and exercises. In grammar and word part we can learn and practice grammar and vocabulary through explanation, activities, and games. These grammar games and exercises can be used by the teachers while teaching grammar lessons to their students. As we know learning English as second language is quite difficult task, especially for Nepali student, learning the grammar of English is quite difficult because the grammar of Nepali is completely different from the grammar of English. But if they get opportunity to learn grammar through the games they will not think that they are learning something but they will be happy that they are playing something and they will understand much more things. There is another button and in that button listen and watch is written. In this particular part we can listen and watch the things in our computer and we can also download video and audio files too. These audio and visual materials are related to language practice activities, that we can do on our computer. As a teacher we can download those things and we can ask our students to do the same task in classroom. The things which are downloaded can be played inside the class and students can work on that. There is another particular place where the things are uploaded specially for the students. There are different games and exercises. In the similar way there are lots of stories, songs and many more. These tasks uploaded in this part are simple and students themselves can understand the instruction and do the task. There are different texts related to the geography of the world and at one corner there are questions related to the same test and students should tick them. If they tick in correct then the next question will come and if not the correct answer will blink. In this way they will play with the computer and learn many more things. All these things are offered by this websites and especially these things are offered for English language learners. Basically using internet in Nepal is really very hard. If we consider Kathmandu city and other main cities like Biratnagar, Pokhara, and so on, it may not be hard to make use of internet. Both teacher and students can make use of internet. But Nepal is not limited within those cities; there are a lot of remote areas where it is really harder to make use of internet. How can I expect there will be access to the internet when there are places where electricity is not introduced to date ? Though there are many exceptions I would like to introduce possibility of using internet in Nepali context. Using internet and using different activities that internet particularly offers for English language classroom are really helpful for the teachers. The teachers themselves are the users of English as second language and pronouncing the words in a proper way might be harder for them. The problem not only lies in the pronunciation part; instead there are lots of places. Producing relevant and authentic materials and activities to conduct the task is also difficult for the teacher. But if they get the access to the internet then they can make use of different websites and can download different materials and activities which will be interesting and equally beneficial for both teachers and students. If we talk about the main cities of the Nepal both teachers and students can make use of internet because they can get access to it, and in case of other remote areas, in some places teacher can get access to and it might be harder to provide the access to all students. In those type of cases teacher can browse something interesting and helpful for teaching English and can apply those things in their class. If the condition is not appropriate for using internet neither of teachers and nor for students in those places using internet in really very difficult and the possibility of using internet is Zero. While I was talking about Zero possibility of using internet I remember one great person of Nepal; named Mahabir pun. He did really great job that he introduced internet in remote area of Nepal. The possibility of using internet for English language teaching can be a bit easier if the project of Mahabir Pun has became successful. After receiving his master’s Degree in Education at the University of Nebraska at Kearney, Mahabir Pun returned to his native village, Nangi, and founded the Himanchal Education Foundation, and now he is currently at work establishing wireless networks in rural Nepal. His project is really helpful to introduce internet in rural areas. Though at first stage it might be used as the means of communication latter on we can made use of internet as a means of reading materials. 1. ‘Consider carefully your goals’: It must be clear to the teacher why this tool would be more successful than a traditional one. Reasons for using the Internet range from increased motivation to learning computer skills, but we should not ask students to do something on the computer that a book could do just as well. 2. ‘Think integration’: Simply asking students to have a computer pen pal will not ensure a significant educational outcome. Teachers must be more involved in the activities and integrate them into the overall design and goals of the course. 3. ‘Don’t underestimate the complexity’: A number of students may lack basic prerequisites for using the Internet, and it might be very time consuming to train these students. Apart from this, technical practicalities such as having computers available, hardware and software malfunction and excessively long waiting time to access web pages., may all hinder the use of the Internet in class. 4. ‘Provide necessary support’: We should not stop trying to use the Internet due to the problems we mentioned above, but provide support in the form of hand-outs, training sessions, set up simple log-on procedures, encourage students to work in pairs or groups and help each other, and being available to help students when they are carrying out their Internet tasks. 5. ‘Involve students in decisions’: Because of the complexities and difficulties mentioned, the teacher must be aware of the impact of these activities, consulting them through class discussions and surveys. This does not mean a passive role for the teacher, who should co-ordinate activities, focus students’ attention on linguistic aspects of texts and assist students in developing learning strategies. I’m the example of these things whether it is important or not. If somebody came near to me and asked me whether Internet is useful or not for me (ESL student), I will definitely say that yes it is helpful, useful and important for me. As I described all my experience towards the internet and its use, with the help of this experience I can say that internet is the best way of teaching and learning English as a Second language. When I came here I became the member of teachingenglish.org.uk and I got better ideas and knowledge about the teaching learning process that can be used while teaching and learning English. If the teacher and students became habituated to use authentic internet sources for their practice learning and teaching will not be harder. The Internet is a tool which offers unprecedented possibilities in the field of English Language Teaching (ELT). Internet assisted ELT can enhance teacher’s effectiveness and facilitates his or her work. It also increases students’ independence, motivation and provides a real information gap. Provided links lead to multimedia support material and additional information which allows expanding activities in the direction of students’ interest. Provided links enable communication. Students use the Internet to communicate sending e-mail messages and participating in news boards, discussion groups and keeping in touch with newspaper editors and so on. That’s why in Nepal also we can make use of internet while conducting the ELT class. Singhal, M. (1997). ‘The Internet and foreign language education: benefits and challenges’. The Internet TESL Journal 3/6. Skinner, B. & Austin, R. (1999). ‘Computer conferencing – does it motivate EFL students ?’. ELT Journal 53/4: 270-279. Dudeney, G (2000) ‘The Internet and the Language classroom’ Cape town, Cambridge University Press 2000. I found this article very encouraging to all people associated to ELT activities and particularly to them who want to use virtual language teaching method but not been getting a proper idea on it. With the experiences of the author, this article also suggests to think once yourself if you are aware of using innovative techniques in an ELT classroom. The article by Usha jee is encouraging for Nepalese teachers in general and English language teachers in particular to utilize internet tool for the pedagogical purpose. However, it is discouraging to note that majority of teachers in Nepal are not familiar with internet and digital technology. If they are not, how they could use them in their classroom. I would like to relate the same article with Sajan Sir’s article on the Choutari entitled Educated but Illiterate (http://neltachoutari.wordpress.com/2011/01/01/educated-but-illiterate/). The same was also published in The Rising Nepal (http://www.gorkhapatra.org.np/rising.detail.php?article_id=45926&cat_id=7) which has made an attempt to raise awareness among majority of Nepalese teachers who are facing literacy problem. It is truly difficult to sustain and grow academically in the paucity of technology. It inspires us to create awareness in our circles about this so that they update their practices via technology and make their pedagogy better. In my views, the experience shared by Usha jee in the first part of her article that the use of internet was just checking the emails only, not more than that, is common to all of us. I would like to share that I had the same experience too. Later, the internet which was once used for the communication has turned to the tools for teaching learning. Besides, I am still finding some of my colleagues for taking internet for just for the communication purpose using emails, facebook and yahoo messenger, not more than that. And I suggest them to go through some useful websites where they can improve their knowledge and share their experiences and views. Obviously, internet is the biggest digital library and resource center in the world as it has stored each and every information. The websites mentioned in the article are truly useful and advantageous for those involved in ELT activities. I would like to recommend ELT Colleagues to click on them for the best use of internet in the classroom. Besides, there are various websites on the internet and one must be wiser to select the useful ones. Lastly, I would like to appreciate the author for providing the example of Mahabir Pun in the article and how Mr. Pun could initiate the project to increase the access of internet in rural areas of Nepal. We must salute him for his wonderful contribution. And the tips to be considered by English Language teachers before designing internet based course are highly appreciate and useful.